From Joystick Magazine. Early ’80s. I wanted to have this music on my ipod, so I transferred it from the record to the computer. 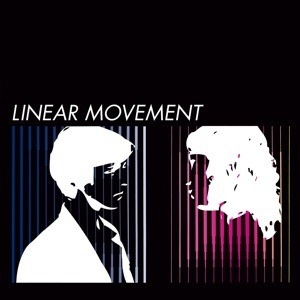 Linear Movement – self-titled lp, from 1983. This was recently reissued on Micrart and so I feel a little guilty posting it. But from what I can tell from the formatting of the numbering on my lp, it was only released in a quantity of 999. So it could be sold out (again) by now. If not, and if you like it, buy it! They also have a record (/collection) called Pulse Music. These records share five songs. But still… it’s worth checking out both. It’s also worth exploring the blog that was linked two sentences ago for these musician’s other bands from the 1982-1984 era: Autumn and Twilight Ritual. Both are VERY good. Highly recommended. And here’s a song to sample, click to listen to: On the Screen. Curren. From the movie Gripping Stuff. 1988. Here’s a comic I recently done did. 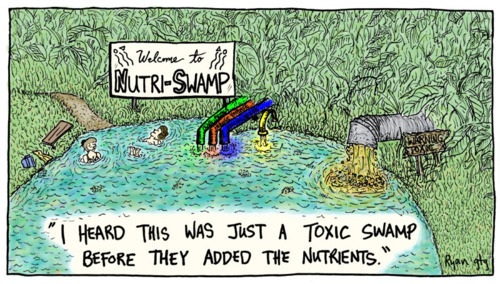 It’s called “Nutri-Swamp.” I didn’t submit it to tinymixtapes.com because the smaller it gets the crappier it looks. Click here to view it at a width of 800px! Holy CRAP! Merel live (from a radio show). Also, full discog here. But dang! this is amazing to hear them live. Early years, too.